Music, Botanics and Surfing... 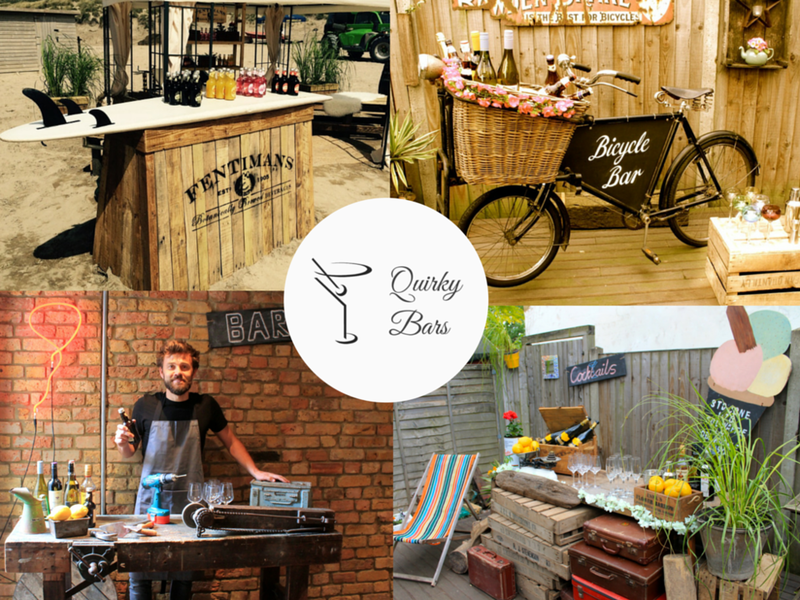 These are just some of the themed mobile bars commissions that the talented creative team at Quirky Bars have been asked to build over the past few months. A brief from a large corporation or a private client leads to an in-depth discussion around the initial idea and from that a unique pop-up Quirky Bar is born. There are many things to consider when designing a themed bar - how mobile it needs to be, the event, the space, the location, the clientele, the weather! But it’s not all work and no play, as the team at Quirky Bars always make sure that everyone involved has fun. We take pride in the quality of our builds, the originality of our creativity and our ability to source the little extra props that put the finishing touches to each of our themed bars. All our bars are run and managed by highly competent and experienced staff, so there's no need to worry about us on the day/s of an event. We promise to arrive, serve, laugh, clear up and go! Hire a Quirky Bar for a unique party!